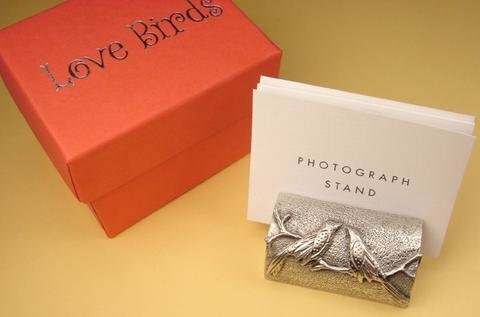 All lead-free pewter Photo Stand with a bird theme. Arrives in it's own box with information about it's maker Judy Vilmain of Providence, Rhode Island. About 1.5"” x 1.25".